Ah, the flea market. The tables, the booths, the smells, the locals…the lessons. These markets are a microcosm of the business world, a stripped-down space where the simple rules of supply and demand are on full display — along with a ton of valuable lessons entrepreneurs can use on and offline. 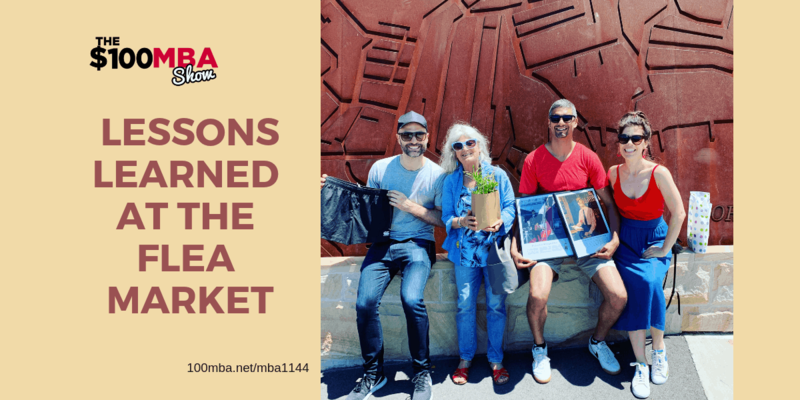 Our host Omar and $100MBA co-founder Nicole recently took a trip to the Kirribilli Market in Milsons Point, in Sydney, Australia. There, they saw dozens of small business people struggling to turn their hobby into a living. Some were doing better than others, and the reasons for their success (or failure) are applicable to every industry. Hear the tips and tricks we saw on display, that you can apply to your own company. Whether you’ve got a stall at the market or a site on the web, what works on the street works on the Internet. Find out how — Click Play! « Previous Post MBA1143 Guest Teacher: Iz El-Bahnasy- How to Optimize Your Conversion Rate Next Post » MBA1145 Q&A Wednesday: How Do I Break Up With My Business Partner?